Alquermes Mexico has recently introduced a new antibiotic: Alquerplus Aldox 20%. It is a broad-spectrum antibiotic, tetracycline of second generation, used to treat diseases such as colibacillosis, mycoplasmosis, salmonellosis, chronic respiratory disease, staphylococcal and pasteurelosis. This antibiotic, which is presented in the form of soluble powder, is specially designed to be administered to broilers and swines. It can be purchased with a veterinary prescription. 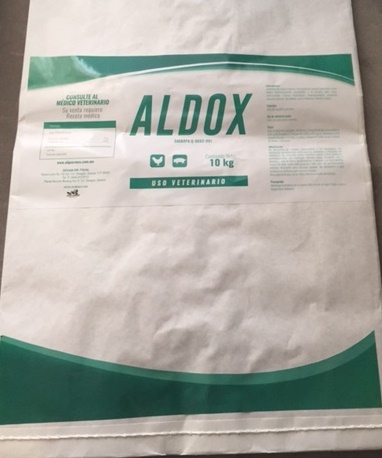 ALQUERPLUS Aldox has been produced with new pharmaceutical technologies, a fact that brings a high degree of stability in the container as well as diluted in the drinking water of animals.